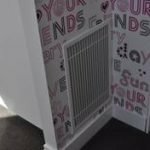 Whether it’s a Ducted unit, an underfloor Gas heating unit, Single Split – Multi Split – VRV; it’s only a part of the overall system. 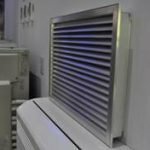 Many other items make the system complete. 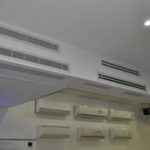 If you have a Panasonic, Daikin, Mitsubishi etc it does not mean all the other components are made or supplied by them. 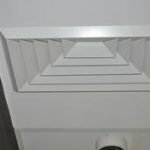 You have many choices in what you see as a finished product, some are functional, aesthetic, practical, necessary and some are a requirement. 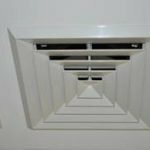 You will get a better understanding of what goes into making up a system and the choices available for any type and any budget. 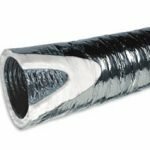 Flexible duct, known as “flex”, comes in a variety sizes and R values. 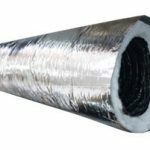 Typically, flexible plastic or metalized Mylar over a metal wire coil to make it round. 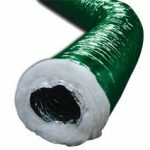 The insulation is usually glass wool or polyester fibre for thermal insulation (rated from R0.6 – R2.0). 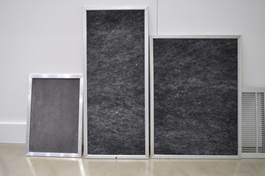 The outer skin is a protective layer surrounding the insulation, and is usually composed of polyethylene, metalized PET or plastic. 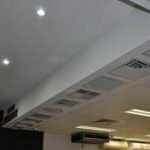 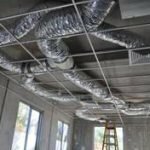 Duct should be manufactured to meet the requirements of the building code of Australia and all relevant Australian standards and statutory requirements. 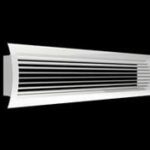 Some manufactures offer duct with fire retardant / rating values and certification. 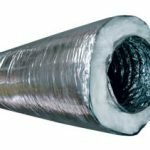 Flexible insulated duct is commonly used throughout Australia on residential system installation, mainly on reverse cycle and gas heating systems. 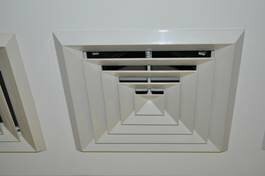 This is what conveys the air from within your home to the unit and then conveys the heated or cooled air into the home through the registers. 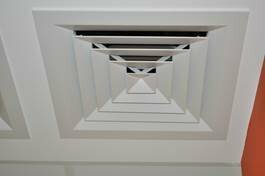 The quality, R value, sizing and installation of the ducting has a HUGE impact on the performance of your system. 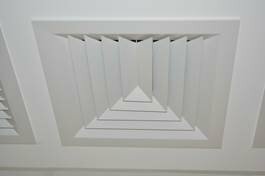 The Higher the R value rating of the duct, the lower the losses through the duct into the hot roof space (up to 65C) or cold underfloor area. 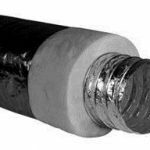 The type of insulation is not an issue or the thickness of; the only measure should be the R value just like home insulation! 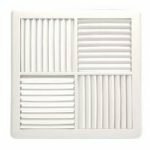 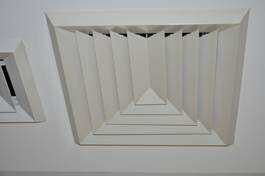 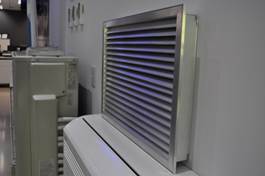 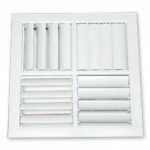 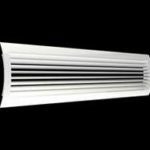 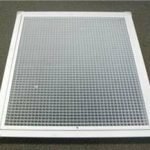 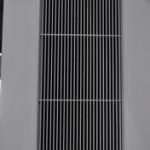 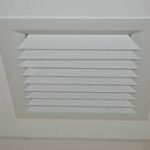 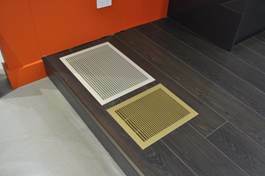 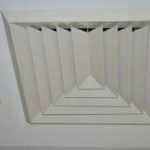 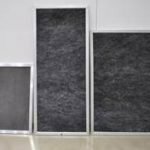 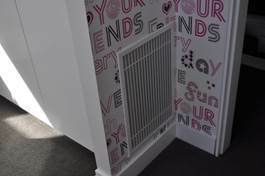 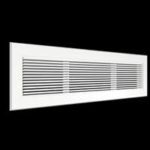 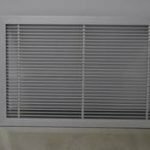 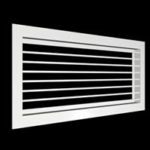 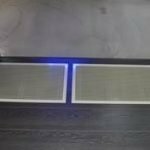 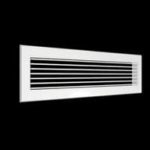 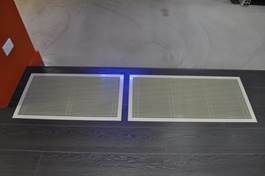 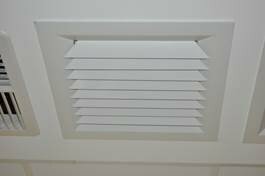 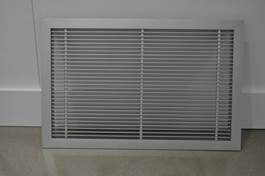 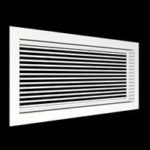 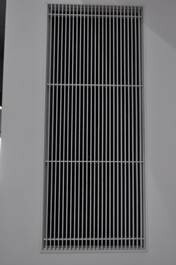 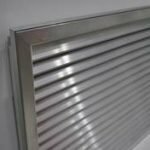 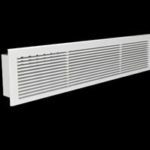 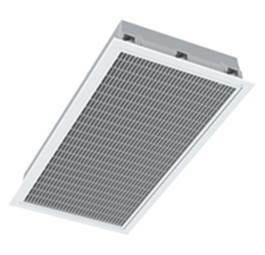 Return air grilles (most commonly fitted with a filter), draw air from within the home or conditioned area, passes through a filtering process before entering the unit to be heated or cooled to the desired temperature. 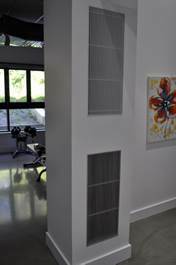 You could have multiple returns depending on the system installed or as unit access requirements dictate. 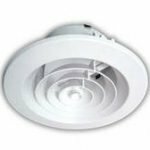 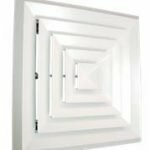 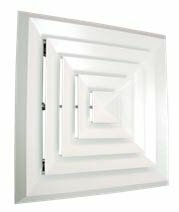 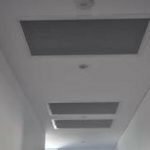 Mainly constructed from lightweight aluminum powder coated white finish, these can be located in a ceiling, door, and wall or in joinery. 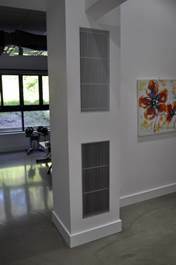 For floor mounted types, these are made from heavy duty pressed metal sections to withstand traffic. 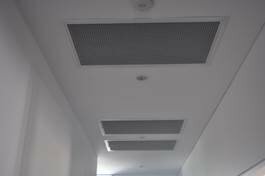 The most common and popular type is the ceiling “egg-crate” design offering a free area of approximately 90%. 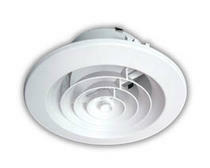 They come in many different sizes and should be correctly designed and sized to suit the airflow volume of the system. 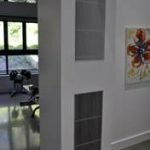 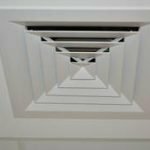 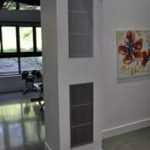 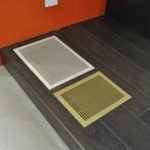 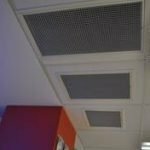 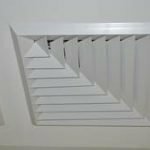 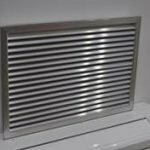 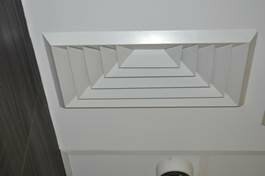 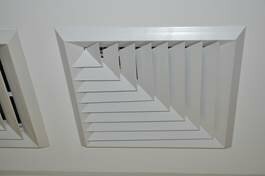 Any fixture that distributes the heated or cooled air throughout your home is called either a GRILLE, DIFFUSER or REGISTER, however many alternatives are available. 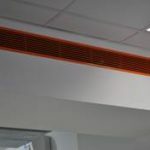 We will advise you on what’s best for your application. 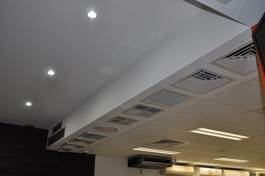 Many considerations need to be made to select the correct type of diffuser. 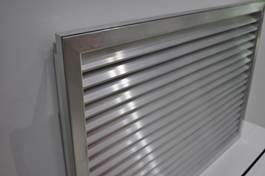 Various styles, materials, finishes, shapes are available. 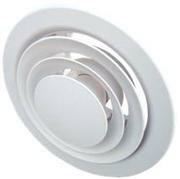 Some choices are functional, some are decorative; some are chosen for aesthetics and others for price. 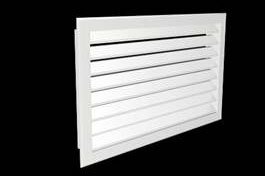 Construction is usually plastic, aluminium, metal, stainless, timber and cast iron. 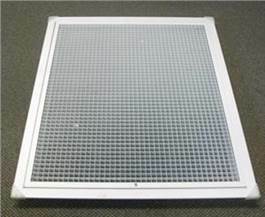 Plastic diffusers are generally more common and a better option for cooling (they don’t condensate). 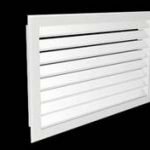 Other grilles offer a greater variety and are much better looking. 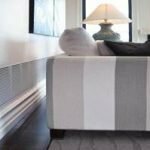 See from the choices below some examples of what you can select. 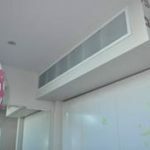 If its not here, we can custom make it! 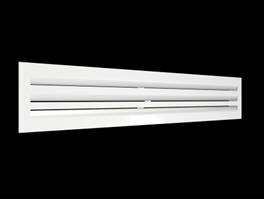 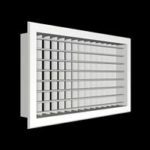 The Linear Slot Diffuser is a superior, modern and flexible mode of air distribution. 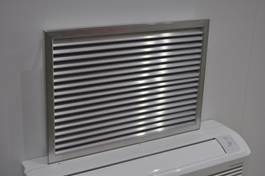 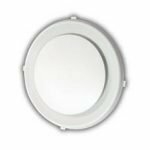 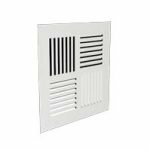 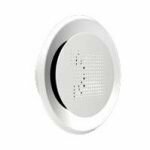 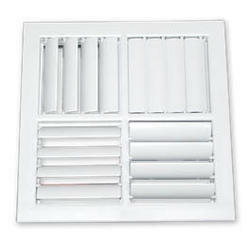 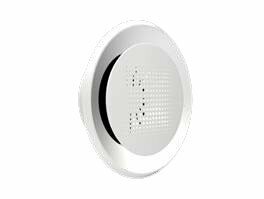 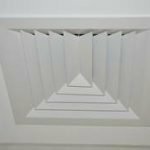 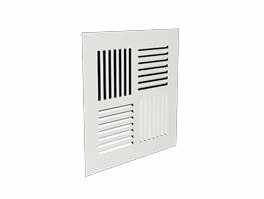 The Air Grilles Slot Diffuser can be manufactured from 1 to 12 slots wide. 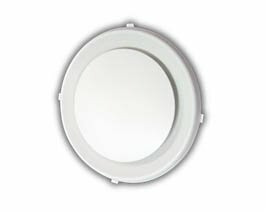 Slot widths may be either 20-mm or 25-mm. 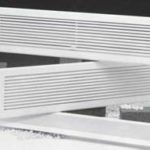 It is recommended that the slot diffuser, which is manufactured exclusively of aluminium extrusion, should not exceed a one piece length of 2 metres. 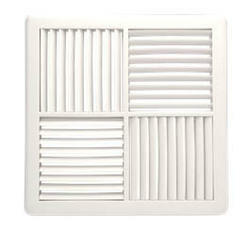 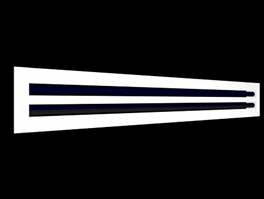 For continuous slot diffuser assembly, aligning strips are provided for ease of installation. 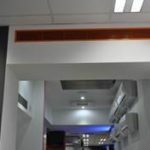 The provision of bends to specified angles is possible and the ends may be straight cut or mitred as required. 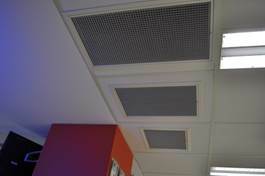 Condensation may form on these diffusers, careful consideration must be given!